Our quick brush change gives your robot a workout. The MANNESMANN DEMAG quick change system works reliable, precise and purely mechanical. Robotspindles and airmotors from Mannesmann DEMAG get your production up to speed. 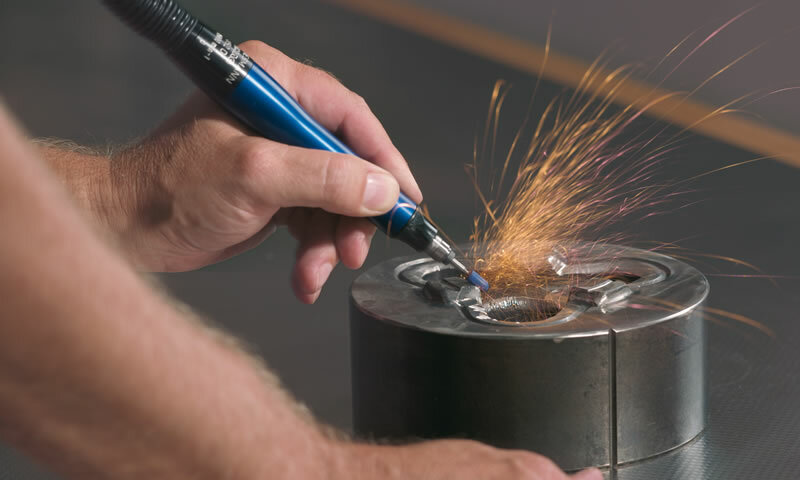 MD-Grinders: just as handy as a pencil. Airmotors- and tools from Mannesmann DEMAG improve your production. 95% of Mannesmann DEMAG airmotors- and tools are produced in Baden-Würrtemberg. Mannesmann DEMAG airmotors- and tools are produced for the elite of german car manufacturers. Mannesmann DEMAG stands for a long tradition of compressed air technology from Germany. Our air tools and air motors are based on more than 100 years of knowledge. You will feel it as soon as you have one of the stainless steel robot spindles in your hands. Discover the brand built up with the experience of generations. This is how to mature professional quality that no one can copy easily. The Mannesmann DEMAG products are almost 100% produced in Baden-Württemberg, the land of tinkers and thinkers. All departments from sales to production are consolidated at our headquarters in Stuttgart. What are the advantages of a house of bee lines? Fast flows from inquiry via offer to the tailor made products. The leading manufacturers of the automotive industry already rely on the precision and the high life times of our air tools and motors. Experienced: Where else can you find air tools and air motors based on more than 100 years of development knowledge? Economical: The low-maintenance technology from Mannesmann DEMAG saves spare parts and thus advances your other projects. Inspection guaranteed: MD is certified according to ISO 9001: 2000. Our QA also checks the parts of our suppliers. 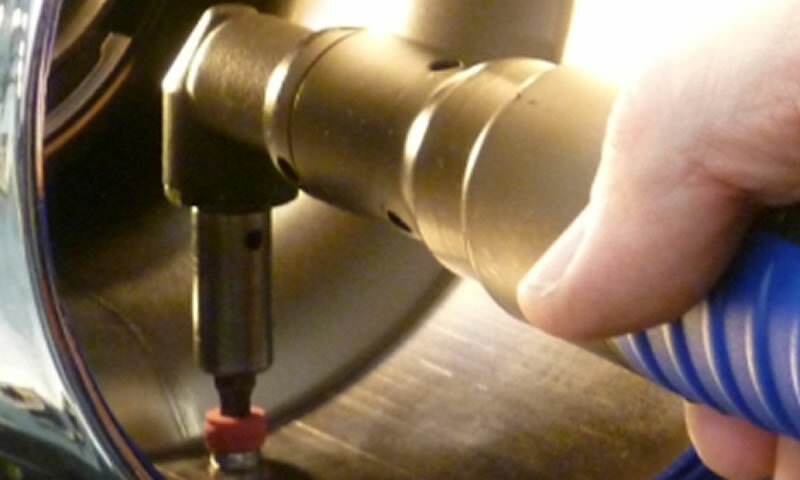 The final checking is carried out 100% upon request for air tools, air motors and spindles. Durable: The long service life of our compressed air equipment and robotic spindles keep your production going for a long time. Quick: MD is a home of bee lines. You get your offer on the fly, a quick customized solution and a direct line to the chief executive. Transparent: We record the life cycle of each compressed air device for you. So you can plan more accurately and save costs. A profit for plant engineering. The air motors, grinding spindles, drilling and brush motors from MD work efficiently and precisely. By installing sensors for speed monitoring, you are always informed about the condition of the motors in your system. We also manufacture special solutions or individual components such as planetary gear units or motor blocks for your compressed air drives. Let's hatch it out! 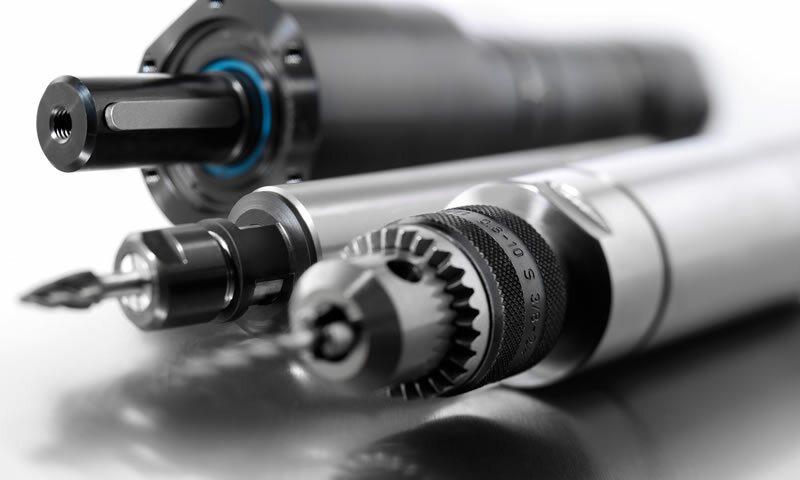 The robotspindles, airspindles and airmotors from Mannesmann DEMAG work fast and precise when deburring, milling, grinding, drilling, brushing or polishing. Likewise, the high-speed spindles cut metal and other materials. 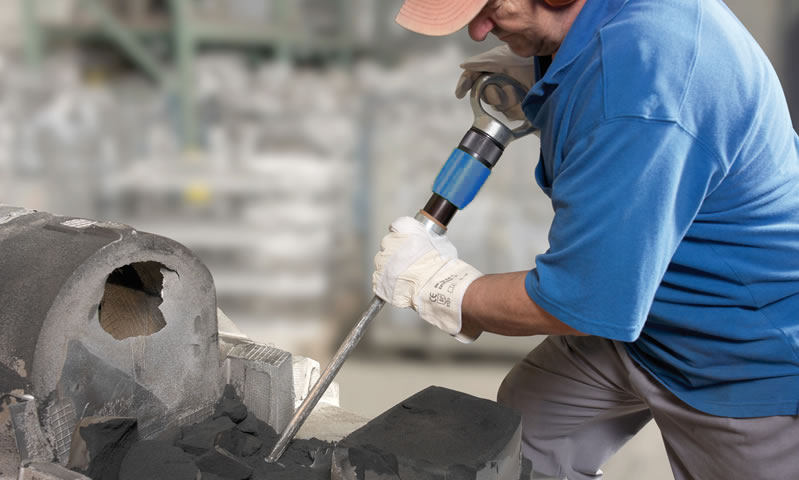 MD manufactures ergonomic chisel hammers and rammers both for filigrees as well for monumental tasks. Engrave fine letters in marble with the masonry hammer or smash huge chunks with our power hammers. Our program provides you with suitable sizes and shapes for all applications. 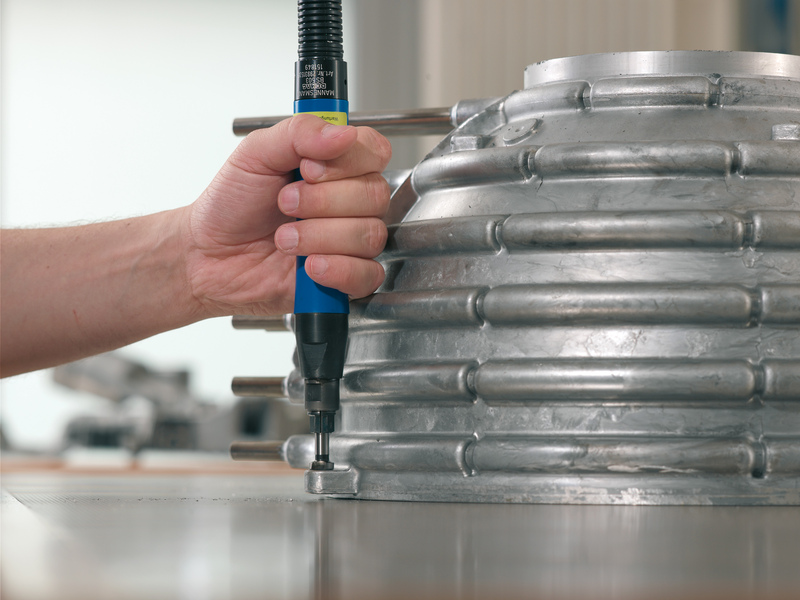 Mannesmann DEMAG drills, chamfering and tapping tools are designed to withstand the hard everyday life of professionals: The ergonomic design, the long life time, low air consumption, low noise level. Use it once and you never want to do without again. Small cause, great effect - this rule applies especially in automation. Reduce costs for robot parts such as spindles and air motors. Increase productivity. We show you the set-screws for your success. Call us or send us a message. As a manufacturer, we know our airtools and airmotors better than anyone else. This is what you notice at our extensive customer service. Construction and repair work with us door to door. And we know the vita of each of your machines. That is why our service is so purposeful and fast. There are many DXF and STEP files (3D) as well as PDF documents for free download. Read more about the MD service. The key to the future lies in the past, said the former English historian Arthur Bryant. The roots of the Deutsche Maschinenbau AG (DEMAG) go back to the year 1910. At this time the company FMA Pokorny also began to produce compressors and air tools. In 1959 FMA Pockorny became a part of the DEMAG consolidated companies. In today's MD Drucklufttechnik GmbH & Co. KG the traditional brand Mannesmann DEMAG lives on. Since company Strohm Karl Gänssle GmbH Co. KG took over the business of the air tools and air motors from the Mannesmann-Group in 1983, we are a typical Swabian company: Thorough, reliable and constantly working on new ideas. Not only the elite of local Stuttgart car companies rely on these virtues. Today MD is a top ranked manufacturer of air tools and air motors far in excess of the automotive industry. Groundbreaking innovations have always been part of the Mannesmann DEMAG history. The future lies in the Industry 4.0, an intelligent, networked production. To pave the way for this we supply robot-spindles to system integrators. Mannesmann DEMAG will also turn tomorrows' Smart Factory more efficiently. With our newsletter you will get regular updates, not only about Mannesmann DEMAG. 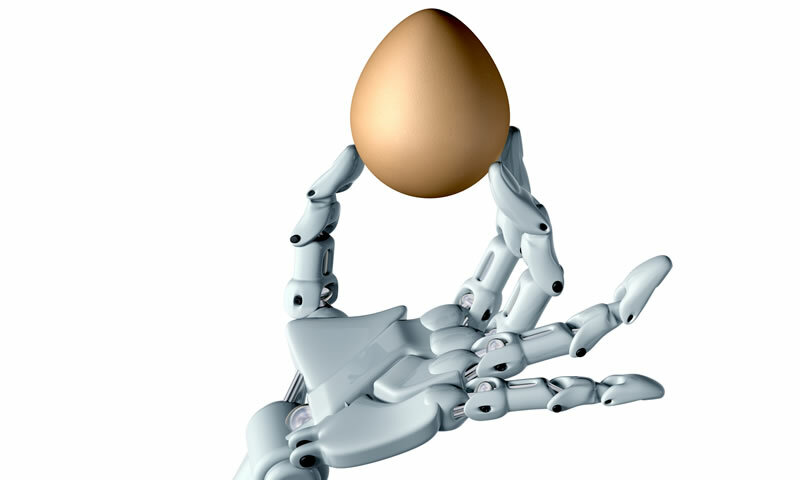 We provide tips for your production or provide solutions for better automation. So, subscribe now! It's worth it for you.